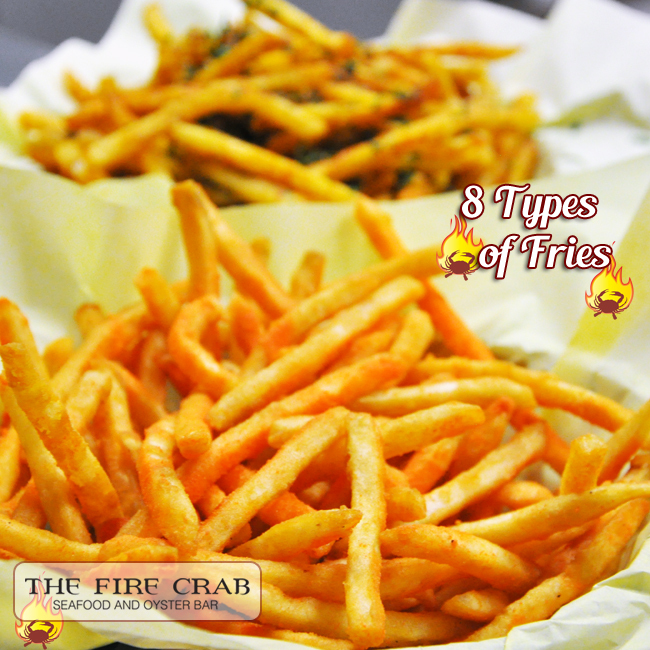 We Have 8 Different Types of Fries! If you love fries, you have to come in and try all 8 of our different fries! Pictured here is our cheddar fries in the foreground, and our sour cream and onion fries in the background. We also have cajun fries, salt & vinegar fries, cajun garlic fries, sweet potato fries and regular french fries. And, our latest addition to the menu is our Cajun Chili Fries. Wow, that's a lot of different fries! The first 7 types of fries range between $3 and $4 but the Cajun Chili Fries is $7.95. Great appetizer to share with everyone else at the table or to gobble up on your own.